Walking the streets of Milan, I found myself faced with a drunken beggar. […] Suddenly dawned on me that he, with his few begged coins, had long before the rest of us reached, a happiness, some of us have striven for all of our lives, and which we, with all our ambitions and efforts, never reached. 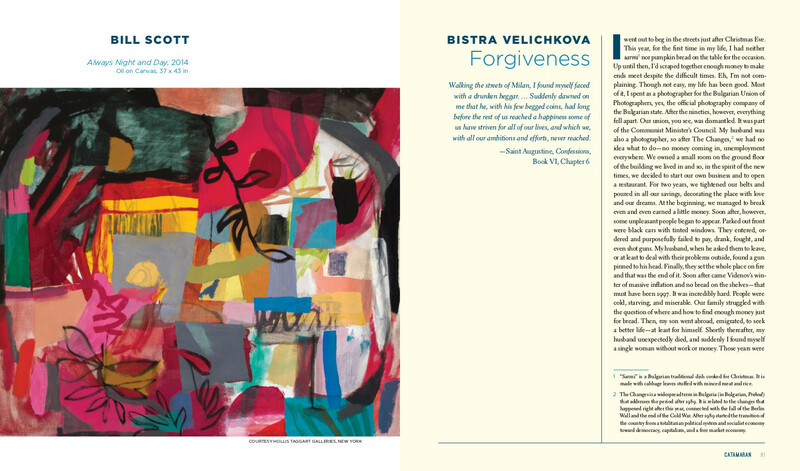 The short story „Forgiveness“ by Bistra Velichkova, translated by Eireene Nealand, was published in English language in the US magazine „Catamaran Literary Reader“, Issue: Spring 2016. I went out to beg in the streets just after Christmas Eve. This year, for the first time in my life, I had neither sarmi (1) nor pumpkinbread on the table for the occasion. Up until then, I’d scraped together enough money to make ends meet despite the difficult times. Eh, I’m not complaining. Though not easy, my life has been good. Most of it, I spent as a photographer for The Bulgarian Union of Photographers, yes, the official photography company of the Bulgarian state. After the 90’s, however, everything fell apart. Our union, you see, was dismantled. It was part of the Communist Minister’s Council. My husband was also a photographer, so after The Changes (2), we had no idea what to do – no money coming in, unemployment everywhere. We owned a small room on the ground floor of the building we lived in and so, in the spirit of the new times, we decided to start our own business and to open a restaurant. For two years, we tightened our belts, and poured in all our savings, decorating the place with love and our dreams. At the beginning, we managed to break even and even earned a little money. Soon after, however, some unpleasant people began to appear. Parked out front in were black cars with tinted windows. They entered, ordered, and purposefully failed to pay, drank, fought and even shot guns. My husband, when he asked them to leave, or at least to deal with their problems outside, found a gun pinned to his head. Finally, they set the whole place on fire and that was the end of it. Soon after, came the Videnov’s winter of massive inflation and no bread on the shelves – that must have been 1997. It was incredibly hard. People were cold, starving, and miserable. Our family struggled with the question of where and how to find enough money just for bread. Then, my son went abroad, emigrated, to seek a better life – at least for himself. Shortly thereafter, my husband unexpectedly died, and suddenly I found myself a single woman without work or money. Those years were hard, but even then, I didn’t fare so badly that I had to beg on the streets. Somehow, I pushed through those times. Then, with the coming of the new century, which arrived along with our king, the situation became even worse. His majesty and I are almost the same age. I was born in ’36, he – ‘37. But we were like the Prince and the Pauper, same ages, different situations. Along he came, ruled the country for a while, made promises – for things like a better life – reclaimed some land he said was his own, and left. Ah well… What haven’t I seen! Next came the kind of politicians that make highways their priority, as it is now proclaimed on the news. Well I do not know how one can have such a priority while people are starving. But it’s their business. Here I am, 70-odd years old, with nearly 40 years of service behind me, and a minimal pension of 150 leva (3). Don’t ask me how long it’s been since I’ve paid for heating and water. I’m barely feeding myself, let alone paying for something extra. For several months during the summer, I lived completely by candlelight. Thank god it was warm, so I didn’t have to switch on the heater. A good woman, a neighbor, took pity on me and helped me get a job as a cleaner in a shop. I was grateful, since at my age hardly anyone would have hired me for another job. And after all a salary is a salary, I managed to pay for electricity and heating, and water. After three months, however, a new boss arrived and as soon as he learned how old I was, he ordered me not to come back the next day. I was not of a „working age,” he said. For a while, I went from friend to friend, in search of another job, but no one would take me on. I don’t blame people. I already had difficulty walking. I could barely see. I’m not as flexible as I was before. And there are so many young people who can do even the lightest work more nimbly than I can. It was just before winter and I decided: I’ll wait for Christmas to pass, for our savior to be born, and then, shame or no shame, I’ll go out into the streets, begging. The first day, when I showed up on Vitosha Boulevard, I wondered where and how should I stand. „Poor you, Angelina, how can you bear it: to bring out your cardboard box and spread it on the pavement like you’re the poorest person on earth?” I thought to myself. My internal struggle was excruciating. I seated myself lightly on the window ledge of a closed shop, under construction, in front of the cartons pasted on the window. I sat and pretended I was waiting for someone. Looking from side to side, blinking my only seeing eye, while the other, clouded by glaucoma, went deep into sleep under its eyelid, I slouched in a hand-knit cap, given to me by my grandmother. I also wore an old jacket of my husband’s. It was thick and warm, a bit big, but I thought – come now, this is excessive vanity, I don’t need to go out dressed as if for a ball? After two hours I gathered the courage to pull out the cardboard box and place it in front of me. Then, I waited. I had no gloves, so I kept my hands curled into each other to keep them warm. The wind howled, flurries and snow began. I was freezing like a dog and all the while busy people passed by me and the empty box. I knew what they must be saying to themselves, „Another beggar!“ And they would be right, it wasn’t just me! A little way down from me, a young boy, ragged, poor and slim as a recently-planted willow had also stretched out his hands. Later I realized he was a junkie. And surely not yet eighteen. Across the street, one dark-faced guy made himself look like a cripple. He’d wrapped his supposedly wounded leg with bandages, and was dragging it while begging for money. 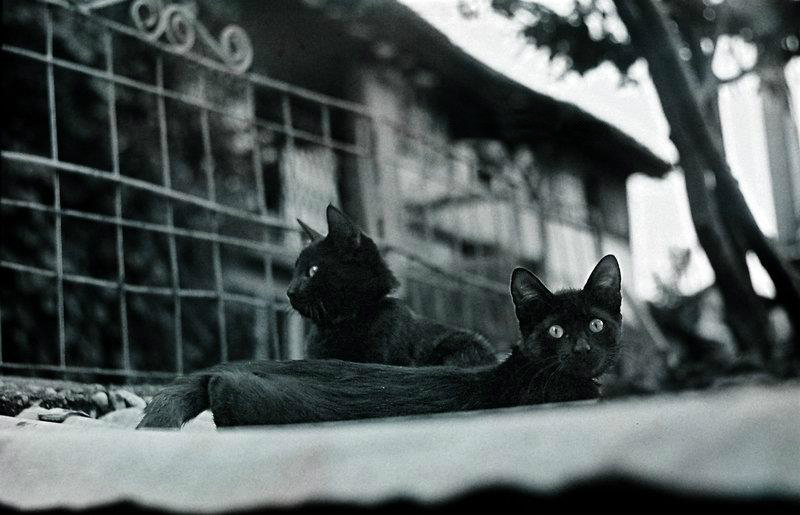 Around two hours must have passed since I had been sitting there when a gypsy woman arrived, all in rags. She began berating me, scolding me and menacingly waving her hands, telling me to clear out of there immediately. Her point: this was her spot! She had “worked” here for years. She kicked away my box, and I left. What else could I do? Even in the streets, it’s a struggle, you know! There are positions, a hierarchy, rules that must be followed if one wants to survive. The next day, I saw this same woman, wrapped in scarves, and deliberately hunched like an old woman, so that people would pity her. Anyway, I moved to another place and slowly began to get used to my new role. Shameful or not, every day I sit out on the streets, starting at noon, when it is the warmest, until 5 or 6 in the evening. I stay there on the street with the little cardboard box in front of me, watching dozens of empty faces pass by. Women in high boots proudly knock their heels on the pavement, and by the guilty looks they cast toward me and my empty box, I can see that they suffer too, begging for love. Men in suits, walking confidently with mobile phones in their hands, talk importantly, while from the look in their eyes, I can see they also beg for a little truth in their own world of lies. Families with children pass by, souls begging for something to fill the emptiness eating them from the inside. And while they pity me, I cry with my only good eye for them. Hell is on earth! I realize. Here we suffer so that we can purify ourselves for a better life after we disappear into the great beyond. So let me tell you, I am not ashamed of what I do, because I realize that everyone on earth is a beggar. Each of us begs for a piece of his own missing truth. And so, I pray for forgiveness for all the sinful souls who pass by me every day. (2) „The Changes“ is a widespread term in Bulgaria (in Bulgarian – “Prehod”), which addresses the period after 1989. It is related to the changes that happened right after this year, connected with the fall of the Berlin Wall and the end of the Cold War. After 1989 started the transition of the country from a totalitarian political system and socialist economy toward democracy, capitalism, and a free market economy. (3) 150 Bulgarian leva (BGN) is approximately 90 US dollars (USD). This amount is the minimum monthly pension in Bulgaria after the 90s and up until now. It is the full income of many of the retired people. 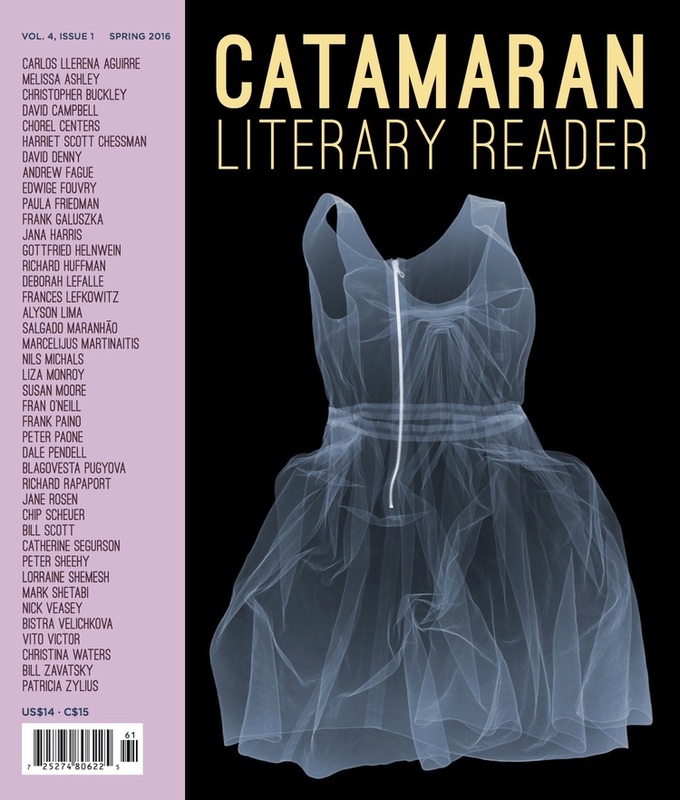 *The short story „Forgiveness“ was published in English language in the US magazine „Catamaran Literary Reader“, Issue: Spring 2016. The story is part of Velichkova’s first book short stories collection „Small, Dirty and Sad“. The girl took a long drag on her cigarette, moved closer through the smoke in the bar. “That’s no good. Shorten your name, shorten your luck!? “I’m here with everyone. Everyone’s my friend. Everyone in this bar is equally close and equally a stranger to me,” Maximiliano said dramatically. The girl waved away cigarette smoke with her hand as if she had not heard the last remark. The girl raised her eyebrows. “Cool! A writer!” Maximiliano said admiringly. “Oh, these will be no less interesting than the first! In one I’ll tell the story of my friend’s first love. She fell in love with a Spanish guy. He invited her to Spain and there—romance, passion, red wine…That’s just the boring part. They started living together and, shortly after, he left her. A pretty good story, huh? Maximiliano nodded, not quite convinced. “I guess I don’t,” said the boy. “And the other?” inquired Maximiliano. Together they doubled over in laughter. “By the way, your rolled cigarettes are terrible!” Maximiliano said. He reached into his pocket for a store-bought one, lit it up. “Yeah, but the stink of self-rolled cigarettes lasts forever,” Max said. Maximiliano looked around the walls of the smoking room. They were isolated at the back of the bar. “Hey, check out the cool graffiti in this dump,” he said. “Authentic misery!” said the boy. “What about you, how old are you?” Max asked. “That’s dumb! No matter what we do we’re always fucked!” said Max. The girl took another drag of her cigarette. “Besides this, what do you do? Do you study? Do you work?” she asked. “Oh, I get it! So what did you say her name was?” the girl asked, laughing. “She has no name! You’re all the same, you, who bear the name woman,” Max said dramatically. “Of course! 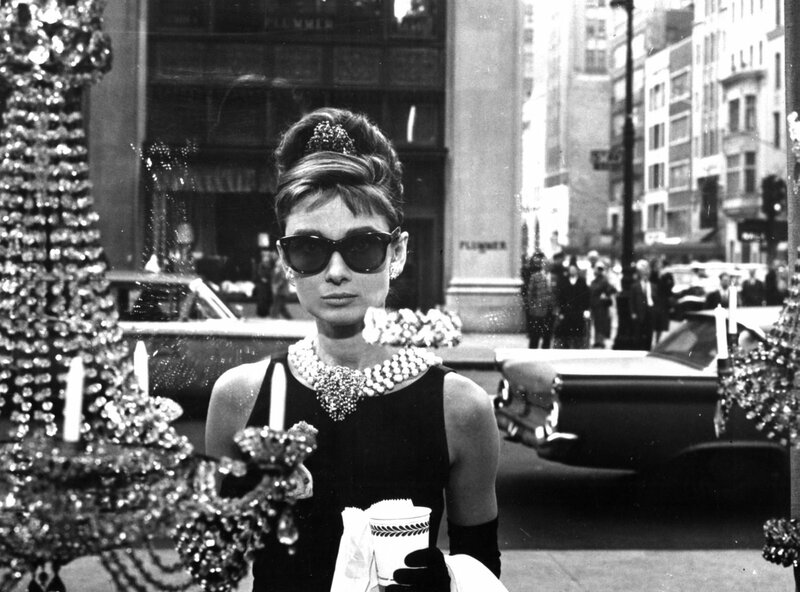 But there must be an unusual story about her”. “Well, here I am! How much more extraordinary of a story can one have? I was her story and she left me! Can you imagine? A girl who quits her own story?” Maximiliano said bitterly. 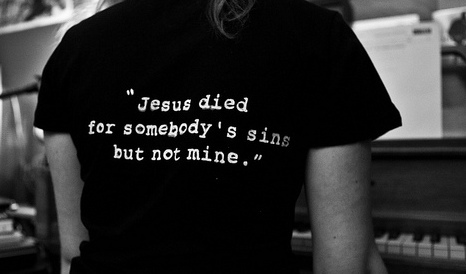 “Yes, and below that it says, ‘Jesus died for somebody’s sins but not mine…’” Max said. All of a sudden the girl turned around and looked at him. The girl took a last drag on her cigarette and put it out in the already full ashtray next to the couch. *“I have more memories than if I’d lived a thousand years,” from “Spleen” in Flowers of Evil by Charles Baudelaire. **The story „Maximilliano“ is part of the book Small, Dirty and Sad (Riva Publishers, 2014). The translation from Bulgarian to English is done by Eireene Nealand. The story is published in the Literary American Magazine „Drunken Boat“, 23 ed., 2016. — Ей, ти, как се казваш? — Масимилиано, но ми викат Масимо. — Ааа, не е добре така да си съкращаваш името! Като го съкращаваш, си съкращаваш късмета! — Правя планове, а ти? — Ха, яко! И аз съм така! — За съжаление, повечето ми планове си остават само планове — провлачи тъжно Масимилиано. — Напоследък съм се оставил на живота — той да ме води. Когато аз се опитвам да го водя, не се получава. — Аз пък не мога да живея така! — призна момичето — Каквото и да става, ако нямам план за бъдещето, ме обхваща безпокойство. — Е, да, това е нормално! Така е само в началото, докато свикнеш. Дай му достатъчно време и съвсем скоро хаотичният живот ти става рутина! — С кой си тук? Къде са ти приятелите? — Тук съм с всички. Всички са ми приятели. Всички в тоя бар са ми еднакво близки и еднакво никакви — драматизира Масимо. — Аз пък искам да напиша книга! — Интересно! И как ще се казва? — прояви интерес Масимилиано. — „Жените на моя живот”! — Падаш си по жени? — Не, не, за съвсем друго нещо става въпрос! — усмихна се момичето. — В книгата ми ще се разказва за всички жени в живота ми, които по някакъв начин са ме впечатлили. Ще започна с баба ми! Нейната история е уникална! На 15 бъдещият ѝ съпруг я открадва, женят се тайно, той отива на война и повече никога не се връща. Баба ми обаче е бременна от него и ражда майка ми, която пък на 14 е изнасилена от доведения си баща, в резултат на което се раждам аз. А тя се пропива. Абсурдно, нали? — повдигна вежди момичето. — Ще има и две отделни глави за двете ми най-добри приятелки! — Яко! Писателка, значи! — възхити се Масимилиано. — Почти! Още не съм написала дори ред от книгата! — Ясно — засега е само план! — пошегува се момчето. — А главите за твоите приятелки какви ще са? — Ооо, и те ще са не по-малко интересни! Ще разкажа за първата любов на едната ми приятелка. Влюби се в испанец, той я покани в Испания, а там – романтика, страсти и червено вино! Това дотук е все още скучната част на историята. Интересното започва след това. Малко след като заживяват заедно, той я зарязва. Много интересно, нали? Масимилиано, без да е напълно убеден, кимна утвърдително. — И тя от яд знаеш ли какво направи? Започна да излиза с всеки срещнат мъж. Ей така, от яд! Отвсякъде започнаха да я канят на вечери, да я возят в скъпи коли, нали знаеш как е? — Май не знам — призна момчето. — Е да де, ти пък откъде ще знаеш! Все едно де, с две думи, тя направо си стана проститутка. А аз съм ѝ благодарна, защото по този начин се класира достойно с историята си за книгата ми. — А другата? — поинтересува се Масимилиано. — Коя другата? Ааа, другата ми най-добра приятелка! Ооо, тя е съвсем друг случай! Девствена нимфоманка знаеш ли какво е? Не знаеш? Е, ще го прочетеш в книгата! Стига си питал — ако ти я разкажа цялата, няма да искаш да си я купиш! —и двамата избухнаха в смях, развеселени от самоиронията на момичето. — Между другото, свитите цигари с тютюн са ужасни! — заяви Масимилиано, запалвайки фабрично свита цигара. — Не е вярно! — не се съгласи момичето. — Фабричните са ужасни, защото димят повече. Виж твоята как дими като комин, а виж моята, която сама съм си свила! — Така е, но свитите оставят много по-силна миризма за по-дълго — отвърна Масимo. — Ами, точно това му е хубавото бе, Масимилиано сладък! — присмя му се добродушно тя. — Я кажи, ти на колко си години? — За какво? – попита намусено момчето. — Ами да се научиш да си свиваш твои цигари, вместо да си даваш парите за готовите гадости от фабриката. Абе въобще имаш време за всичко! — И кое е всичко? — Успехи, провали, пак успехи, любов… всичко — обобщи философски момичето. — Ако е така, аз вече имах всичко! — натърти момчето — J’ai plus de souvenirs que si j’avais mille ans*. — Ясно! Някоя ти е разбила сърцето! — Готини графити има в тая дупка — смени темата Масимилиано, оглеждайки стените на малката стая за пушачи, в която седяха, изолирани в дъното на бара. — Да, старото канапе, на което седиш и на което му излизат пружините, прави мястото още по-яко! — Яко мизерия! — иронизира я момчето. — Ами да, какво повече ти трябва на 22? — А ти на колко си? — отвърна на въпроса с въпрос Масимо. — Не са ли те учили, че жена не се пита за годините? Хайде, ще ти кажа, понеже си ми симпатичен! На 27. — Хм, опасна възраст! Страх ли те е? — От какво бе, Масимилиано? — Ами… от Клуб 27? Момичето избухна в неудържим смях. — Джими Хендрикс, Джанис Джоплин, Кърт Кобейн, Джим Морисън… сещаш ли се? – продължи сериозно момчето. — Ооо, не, не мисля, че съм достатъчно талантлива, за да умра на 27. А и не ми влиза в плановете, поне за момента. Но, да, признавам, че 27 е малко рискована възраст. Нещо като разделителна линия на живота ти. Прескочиш ли я — ще си в играта задълго. Така де, в живота. — Пълна тъпотия! Винаги си прецакан… – каза умърлушено Масимо. — Иначе ти с какво се занимаваш? Учиш ли? Работиш ли? — попита с интерес момичето. — Уча, ама няма никога да завърша. Дори не знам защо уча. Предполагам, че уча за после, когато ще си търся работа. — Все ми е едно! Не ми пука, дори и да прекарам остатъка от живота си на това канапе, до тия петна от бира и повръщано! — Аха, ясно! И как се казва? — подсмихна се многозначително момичето. — Е, тази, дето ти е разбила сърцето? — Ама ти наистина си като всички писатели: смесвате реалност и фантазия и мислите, че всичко трябва да бъде като в разказите ви? — За съжаление, не ги смесвам, Масимилиано: реалността е в моите разкази! — отвърна сериозно момичето. — Добре, не искаш да ми кажеш името! А руса ли е? Тия са най-зли, да знаеш! — Няма име! Всички сте едни! Казва се Жена — отсече драматично Масимо. — Естествено, че се казва Жена! Женската ми интуиция никога не ме лъже! — възкликна момичето — И какво стана? — Нищо. Както винаги става накрая с жените. Едно ни-що! Твоите жени от книгата и те ли са такива кучки? — Ааа, моля, моля! Няма да ми обиждаш героите! — Герои! — натърти иронично Масимо. — Моята героиня можеш ли да я включиш в книгата си? — Разбира се! Но трябва да има някаква необикновена история около нея. — Е, ето ме! Колко по-необикновена история от мен може да има! Аз съм нейната история и тя ме заряза! Представяш ли си? Да зарежеш собствената си история? — възкликна с горчив сарказъм Масимилиано. — Я-я, какво пише на онзи графит отсреща? — вниманието на момичето беше внезапно привлечено от разкривен надпис на стената: „Само Господ може да ме съди!”. — Да, а по-долу пише: „Господ е умрял за нечии чужди грехове, но не моите…” — забеляза на свой ред Масимо. — Масимилиано! Имаш хубави очи! — И какво от това? — Ами нищо, просто да си знаеш! — момичето дръпна за последно от свитата цигара и я изгаси в препълнения пепелник до канапето. — Хайде, приятелче, на мен ми свърши цигарата и изчезвам при другите. И никога не си съкращавай името, нали се разбрахме! Съкратиш ли го — съкращаваш си късмета, Масимилиано! * „Аз имам повече спомени, отколкото ако бях живял хиляда години”, из стихотворението Spleen от стихосбирката „Цветя на злото” на Шарл Бодлер — б.а. ** Разказът „Масимилиано“ е от сборника разкази “Малка, мръсна и тъжна” (ИК Рива, 2014). Разказът е преведен на английски език от Айрийн Нийланд. Публикуван е в американското литературно списание „Drunken Boat“, бр. 23, 2016 г. „Oгледало за обратно виждане“ – разказ в американското списание „Drunken Boat“, бр. 23, 2016 г.
I got married right after being discharged from the army. I don’t know how it happened so fast. Only few days after coming home, I was invited, along with my dad, to my cousins’ in a nearby village. There was a huge feast with multiple bottles of wine and long, broad tables of food. You know how it is when you return to your kin after being gone for a long time. At the table, I sat next to my cousin, lobbing jokes. All of the sudden he shot me a conspiratorial look, indicating with a glance, a girl across the table, the neighbor’s daughter. “Take her, brother,” my cousin said. “How can I take her?” I said. “C’mon Cuz, I’ve given my heart to another. You know how it is, I can’t.” Couldn’t I? In the whirl of the night, drinks were thrown back. From one moment to the next I don’t remember what happened. I only remember that it was great fun. In the morning I awoke and what did I see? Snuggled up next to me in the bed, the neighbor’s daughter, naked as in the day she was born and gentle and fragile as a dove. “Christ,” said I to myself. “What have I done?” No secrets exist among relatives. She was still a child—I, her first man. “You have to take her, son!” the girl’s father said when he heard. 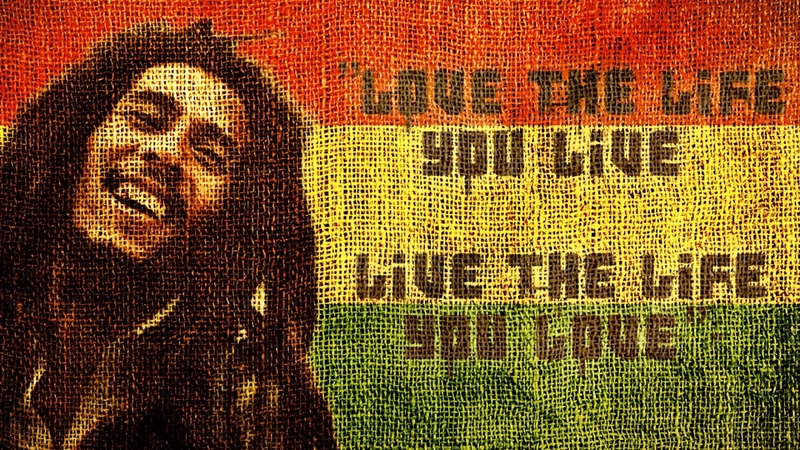 “It’s you, or no one. You created this mess, now take the girl!” So, that’s how it went. In more or less two weeks, we were married and moved in together. I came to love my dear Catherine. She turned out to be a good, sensible girl, and a decent housewife with skillful hands. After a year she gave birth to our son—the proud successor to his dad. Soon after a daughter arrived. We went on to become a good family. The years passed. The children were growing up. Along with them, it was as if Catherine was growing up too. When we first got together, she was still a girl, but now she was beginning to become a woman. And little by little something started to change in her. She did not like how we were living. The small town was choking her, it seemed, and not only that. She started to look beyond Bulgaria. Someone put a bee in her bonnet—the real freedom was in the West. Back in those days, you know, these were dangerous thoughts. Just the idea of escaping abroad could have thrown you into prison. But she kept nagging me to join her in her plans for escape. “Come on, Catherine! Stop fogging your head with these crazy thoughts,” I said. “You don’t want to destroy our family, do you? This is my country. Take it as it is. As for the kids, you’ll get them over my dead body!” But it was no use. Madmen, like strong winds, can’t be stopped. My Catherine disappeared! On Easter morning she went out early, said she was going to church, and never returned. Okay, she left me…These things happen. But… the kids?! To leave her own children… Was she brave? Was she mad? I ask myself that even today … Well, but one learns to get used to anything. Twenty years have passed without news from Catherine, not a scrap. The children grew up. Don’t ask me how I managed it on my own. How they felt without a mother, I don’t dare inquire. With all the problems of that time, the daily chores, I gradually learned not to think of Catherine. As they say: what you can’t forget, you can at least try not to remember. One night, I was coming home late from work—crushed and tired as usual. That whole day I just turned the steering wheel here and there. It was in this same taxi that I’m driving you in now. Well, the phone rang and I was startled! At that time of day, late at night, the only call I would usually have was from my dear old mother, but she’s passed away. Since then, rarely has anyone been calling me, and I never expected the phone to ring. “Hello,” I said, after picking up the receiver. On the opposite end was silence—just silence. I felt, however, as if someone was breathing into the phone. “Hello?” I repeated, half, annoyed, half scared, not knowing why. “Who’s there?” On the other end, again—silence. At this point, something clicked. Strange thoughts spun through my brain. All of the sudden a familiar voice said through sobs and tears: “The children… How are the children?” My heart clenched. I froze and barely managed to say: “Catherine! Is that you, Catherine? Hello. Hello … Catherine!” Unexpectedly, the connection broke and the phone went dead. Was that really my Catherine? Or was it just my imagination? I couldn’t say! And, well, I didn’t hear anything more from her. The kids are grown now. They went away too, and have their own lives. My son is thirty years old, a builder in Spain, with a family of his own. My daughter is a waitress in England. Thank god she’s left me her kid to care for. My granddaughter’s my only happiness now. It’s for her sake alone that I still drive this taxi. But I put the photos of all of them around the rearview mirror so that when I look back to see if cars are coming, I always see them, my son, my daughter, my grandchildren … Oh, yes, and there is a photo of Catherine, too. Look at her, how she smiles at me. In this picture she’s only twenty-two. It doesn’t matter that the closest people in my life are present only in these pictures. I look at them and they make me happy. Sometimes in real life they are good, sometimes not, but always, so that I don’t worry about them, they smile before me as up here. That is how I see them every day in the rearview mirror, slowly receding into the distance while I continue to drive straight ahead. […] Ако се оставите да обикнете диво същество, накрая ще останете само с поглед към небето. ​Ожених се малко след като се уволних от казармата. Ама как стана тя – на бърза ръка! Едва няколко дена откак се бях прибрал вкъщи, и отиваме с баща ми на гости на братовчедите в съседното село. Голям гуляй, винó, софри – знаеш как е, кога се прибираш при свои хора, след дълго отсъствие! Та седим си с братовчеда на трапезата, подхвърляме майтапи, току ми се подсмихва той заговорнически и ми сочи с поглед едно девойче през масата. Съседско било, вика: ‘Земи го, брате! „’Бе как ша го взема бе, брат’чед, на друго момиче съм дал сърцето си, не мога!”Не мога ли? Завъртя се вечерта, заобръщаха се чашите, от един момент нататък какво сме правили – не помня, помня само, че веселбата беше голяма. На сутринта се събуждам и що да видя: свило се до мен на леглото съседското девойче, така както я е майка родила – нежно, крехко като гълъбичка! Бре, каква я свърших, викам си! Сред роднини скрито-покрито няма! Тя – девойка, аз – първи мъж, и баща ѝ, като разбра, вика: „Сине, трябва да я ‘земеш! Или ти, или никой! Направил си белята – вземай го момичето!”. И това беше: за има-няма две седмици се оженихме и заживяхме заедно. Заобичах си я аз, моята Катеринка – добро и сговорчиво девойче излезе. А и къщовница, и в ръцете сръчна. След година ми роди син – горд наследник на баща си. Скоро и щерката се появи. Хубаво семейство си наредихме. Минаваха годините, растяха децата, а с тях сякаш и Катеринка порастваше. Кога се взехме, тя беше още дете, а започваше да става жена. И постепенно нещо взе да се променя в нея. Не ѝ харесваше как живеем, започна да я задушава животът в малкия град. Остави това, ами и отвъд България започна да гледа. Пуснал ѝ някой мухата, че на Запад е истинската свобода. А в тия години, знаеш, това бяха страшни приказки. Само мисълта да избягаш в чужбина можеше в затвора да те вкара! А тя и мен навива на нейния акъл! Викам: „Катерино, стига си си помътвала главата с щуротии! Семейството ни ша затриеш! Това е моята родина – каквато-такава! Не мърдам оттук, а децата ще вземеш само през трупа ми!”. Но не би! Луд човек и силен вятър нищо ги не спира! Изчезна моята Катерина! Една сутрин по Възкресение излезе рано, уж за черква, и повече не се върна. Мен изостави – хайде, това как да е, но децата…! Да си остави децата! Смела ли беше, луда ли беше, и до днес все това се питам… Е, ‘секо нещо се учи, със ‘секо нещо се свиква! Двайсе’ години се изтъркóлиха, а от Катеринка – ни вест, ни кост. Децата израснаха, как съм ги гледал сам – не ме питай! Какво им е било на тях без майка – това аз не смея да ги питам! Покрай ежедневните грижи и тревоги за всичките тези години постепенно се научих да не мисля за Катерина. Знаеш, нещата, които не можеш да забравиш, можеш поне да се научиш да не си спомняш. Дори и тогава обаче не можеш да спреш миналото да напомня за себе си! Прибирам се една вечер късно от работа – смачкан, изморен, пак цял ден бях въртял волана на същото това такси, в което те возя и теб сега. Звъни телефонът и аз се стреснах! По това време се обаждаше само старата ми майка, преди да се спомине. Оттогава рядко някой ме търсеше и аз никого не очаквах. Казвам „Ало“, а отсреща – тишина. Усещам обаче, че сякаш някой диша в слушалката. „Ало? Кой се обажда?”, повторих, наполовина раздразнен, наполовина уплашен, без сам да разбирам защо. Отсреща – пак тишина. Нещо в този момент трепна в мен. Странни мисли започнаха да се въртят в главата ми. Внезапно познат глас каза през хлипове плач: „Децата… Как са децата…?” Сърцето ми се сви. Вцепених се. Едва промълвих: „Катерина! Ти ли си, Катерина? Ало, ало… Катерина!” Неочаквано връзката се разпадна и телефонът замръзна мъртъв пред мен. Наистина ли беше тя – моята Катеринка? На мене ли ми се строи така? Не мога да ти кажа! Така и повече нищо не чух от нея… Днес децата са съвсем големи. Разбягаха се и те. Синът е на 30, със семейство – строител в Испания. Дъщерята пък е в Англия – сервитьорка. Добре че поне внучката на мен остави да я гледам, та тя е единствената ми радост сега. Само за нея още въртя този волан по цял ден. Ето ги тука всички къде са! Сложил съм си ги над огледалото, та кога гледам назад дали идват коли, все тях да виждам. И сина, и дъщерята, та и внуците до тях! Ей я нá и Катеринка, гледай само как ми се усмихва. Тук е едва на 22. И нищо, че са ми само на снимка! Гледам си ги аз и им се радвам. Понякога са добре, понякога не, ама все гледат да се усмихнат за пред мен – да не се тревожа аз. Така ги гледам все в огледалото за обратно виждане как бавно се отдалечават, докато аз продължавам да карам напред. *Разказът „Огледало за обратно виждане“ е от сборника разкази “Малка, мръсна и тъжна” (ИК Рива, 2014). Разказът е преведен на английски език от Айрийн Нийланд. Публикуван е в американското литературно списание „Drunken Boat“, бр. 23, 2016 г. An excerpt of the short story „Forever“, written by Bistra Velichkova, was published in Vagabond magazine, issue 74, 2012. 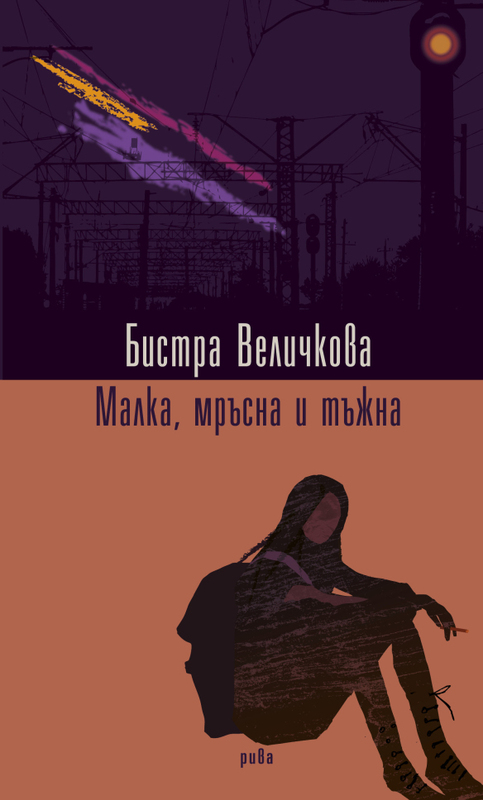 The translation of the story from Bulgarian to English is done by David Mossop. 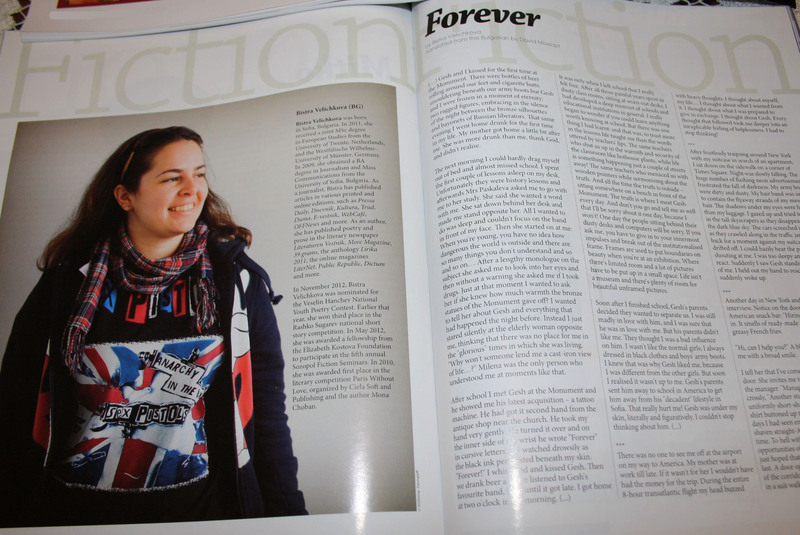 The full version of the story „Forever“ is available in Bulgarian language in LiterNet magazine. Bistra Velichkova was born in Sofia, Bulgaria. In 2011, she received a joint MSc degree in European Studies from the University of Twente, Netherlands, and the Westfälische Wilhelms-University of Münster, Germany. In 2009, she obtained a BA degree in Journalism and Mass Communications from the University of Sofia, Bulgaria. As a journalist, Bistra has published articles in various printed and online editions, such as Pressa Daily, Dnevnik, Kultura, Trud, Duma, E-vestnik, WebCafé, OFFNews and more. As an author, she has published poetry and prose in the literary newspaper Literaturen Vestnik, LIK Magazine, More Magazine, 39 grams, the online magazines LiterNet, Public Republic, Dictum, Crosspoint and more. 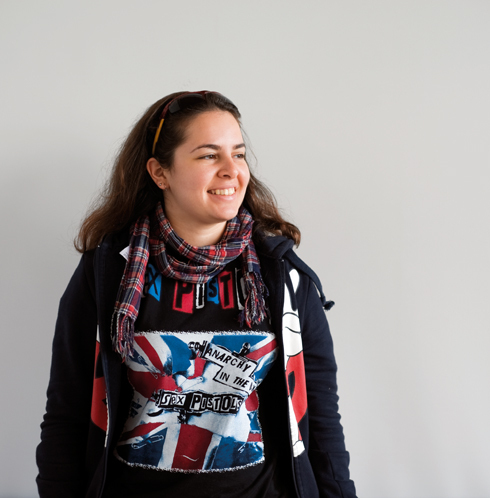 In November 2012, Bistra Velichkova was nominated for the Veselin Hanchev National Youth Poetry Contest. Earlier that year, she won third place in the Rashko Sugarev national short story competition. In May 2012, she was awarded a fellowship from the Elizabeth Kostova Foundation to participate in the fifth annual Sozopol Fiction Seminars. In 2010, she was awarded first place in the literary competition Paris Without Love, organized by Ciela Books and the author Mona Choban. (…) Gesh and I kissed for the first time at the Monument. There were bottles of beer rolling around our feet and cigarette butts smouldering beneath our army boots but Gesh and I were frozen in a moment of eternity: two ragged figures, embracing in the silence of the night between the bronze silhouettes and bayonets of Russian liberators. That same evening I went home drunk for the first time in my life. My mother got home a little bit after me. She was more drunk than me, thank God, and didn’t realise. The next morning I could hardly drag myself out of bed and almost missed school. I spent the first couple of lessons asleep on my desk. Unfortunately they were history lessons and afterwards Mrs Paskaleva asked me to go with me to her study. She said she wanted a word with me. She sat down behind her desk and made me stand opposite her. All I wanted to do was sleep and couldn’t focus on the hand in front of my face. Then she started on at me: When you’re young, you have no idea how dangerous the world is outside and there are so many things you don’t understand and so and so on… After a lengthy monologue on the subject she asked me to look into her eyes and then without a warning she asked me if I took drugs. Just at that moment I wanted to ask her if she knew how much warmth the bronze statues of the Monument gave off? I wanted to tell her about Gesh and everything that had happened the night before. Instead I just stared silently at the elderly woman opposite me, thinking that there was no place for me in the „glorious“ times in which she was living. „Why won’t someone lend me a cast-iron view of life…?“ Milena was the only person who understood me at moments like that. It was only when I left school that I really felt free. After all those painful years spent in dusty class rooms, sitting at worn-out desks, I had developed a deep mistrust of schools and educational institutions in general. I really began to wonder if you could learn anything worth knowing at school. But there was one thing I had learnt: and that was, to trust more in the lessons life taught me than the words uttered by teachers’ lips. The same teachers who shut us up in the warmth and security of the classroom like hothouse plants, while life is something happening just a couple of streets away! The same teachers who menaced us with wooden pointers while sermonising about the truth. And all the time the truth is outside – sitting somewhere on a bench in front of the Monument. The truth is where I meet Gesh every day. And don’t you go and tell me as well that I’ll be sorry about it one day, because I won’t! One day the people sitting behind their dusty desks and computers will be sorry. If you ask me, you have to give in to your innermost impulses and break out of the institutionalised frame. Frames are used to put boundaries on beauty when you’re at an exhibition. Where there’s limited room and a lot of pictures have to be put up in a small space. Life isn’t a museum and there’s plenty of room for beautiful unframed pictures. There was no one to see me off at the airport on my way to America. My mother was at work till late. If it wasn’t for her I wouldn’t have had the money for the trip. During the entire 8-hour transatlantic flight my head buzzed with heavy thoughts. I thought about myself, my life… I thought about what I wanted from it. I thought about what I was prepared to give in exchange. I thought about Gesh. Every thought that followed took me deeper into an inexplicable feeling of helplessness. I had to stop thinking! After fruitlessly traipsing around New York with my suitcase in search of an apartment, I sat down on the sidewalk on a corner of Times Square. Night was slowly falling. The huge number of flashing neon advertisements frustrated the fall of darkness. My army boots were dirty and dusty. My hair band was unable to contain the flyaway strands of my messy hair. The shadows under my eyes were heavier than my luggage. I gazed up and tried to take in the tall skyscrapers as they disappeared into the dark blue sky. The cars screeched incisively as they crawled along in the traffic jams. I leant back for a moment against my suitcase and drifted off. I could hazily hear the passers-by shouting at me. I was too sleepy and tired to react. Suddenly I saw Gesh standing in front of me. I held out my hand to reach him… and suddenly woke up. The short story “Forever” by Bistra Velichkova, published in Vagabond magazine, issue 74, 2012. Another day in New York and another job interview. Notice on the door of a typical American snack bar: „Hiring Waitresses!“ I go in. It smells of ready-made sandwiches and greasy French fries. „Hi, can I help you?“ A black woman says to me with a broad smile. The young man looks at me with embarrassment. He wrinkles his forehead in disbelief and he says nothing. A spark of realisation seems to flash in his eyes for a split second. But it’s just as quickly dispelled by his previous, expressionless business face. That same evening I spent a long time wandering the streets of New York. I tried not to think. I sat down on the steps of Union Square, lit a cigarette and opened a bottle of beer. All around me there were groups of punks, heavy metal fans and hippies… They were dressed in torn jeans with purple, green and red hair. Some of the boys had punk crests like Gesh. Others had waist-length hair. There were shaven-headed girls with countless piercings on their faces and bodies, and tattooed flowers and skulls. I could hear black teenagers rapping on saucepans. Couples in love kissed and the silver balls of their tongue piercings clicked against each other. Everything reminded me of the Monument. I thought about Gesh again, about the school, about eighth grade and my first beer; the kiss on the bench, our dirty army boots, intertwined with each other, while the stars slowly sprinkled the sky, illuminating the night of our carefree existence. I thought back to Mrs Paskaleva and my class teacher with a feeling of fondness. How wrong my teachers were! I drank my beer slowly. I thought about my mother. Was she still working in that smoke-filled bar? Was she happy? I took a drag on the cigarette and exhaled the smoke slowly. For the first time in a long time I really felt free, I really felt myself. The tasteless „Corona“ helped me swallow my bitter thoughts. At that moment they were the only thing which had any taste. I looked at my right hand holding the slowly burning cigarette. On the inside just above the wrist, I read the black-inked words out loud: „Forever“. I exhaled the smoke and threw the cigarette into the dust. I tried to put it out, but it just went on burning. Forever.